In the 1950's, Heal’s championed fabric design, bringing fabric from the likes of Lucienne Day and Zandra Rhodes to the mass market. The service ended in the 70's, but it has just relaunched, with designs from (among others) Rhodes, plus Diana Bloomfield’s playful prints and beautiful floral pattern work by Cressida Bell. Cover a cushion, a settee, or make your own upholstered chairs with any of the fabrics from this heritage range, and you'll have a one-of-a-kind piece which friends and family can coo over and admire. 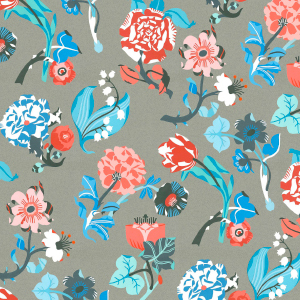 All fabrics are priced at £45 per metre, and can be found on the Heal's bell website.